Our overall impression with this hotel was positive. Staff was friendly especially Cristian Joy who was the Bellboy/ FO Assistant when we arrived and was there too to bid farewell. He was joyful and offered help even when not asked. Our rooms were clean, the space was sufficient and they assigned rooms according to our request. Breakfast has nice spread with lots of choices and its by the pool location was good. While we enjoyed their pool, we didn't have time to try their gym. Little thing for improvement; as I said in the title, actually I like all aspects of the stay and location is great, adjacent to newly opened MX Mall. But I think the access to the hotel should be made separated with mall entrance. We had to fight the traffic in long queue with mall visitors to get a ticket which I think was unnecessary. The hotel does actually have access from the side of the mall, but they close this easier access which was a pity. This was the only thing for improvement I think. but I won't hesitate to stay here again on our future visits to Malang. Despite the city being overflowed by holiday makers, we had a wonderful stay in the hotel. The staff were very helpful. The breakfast was nice and so does the room service food that we ordered. Will recommend this place to our friends back home. We stayed at the Swiss-Belinn Malang just for 1 night on our way back to Surabaya. We found the hotel to be nicely located, right next to a mall, where we shopped in the evening. The hotel staff was very supportive, cheerful and helpful. The deluxe twin room was smaller than we had expected, but was clean, and offered good value for the price we paid. The breakfast buffet was well stocked, and the egg station got us boiled eggs, even though they were not parked of the offering. We left the hotel happy to have spent a night here. 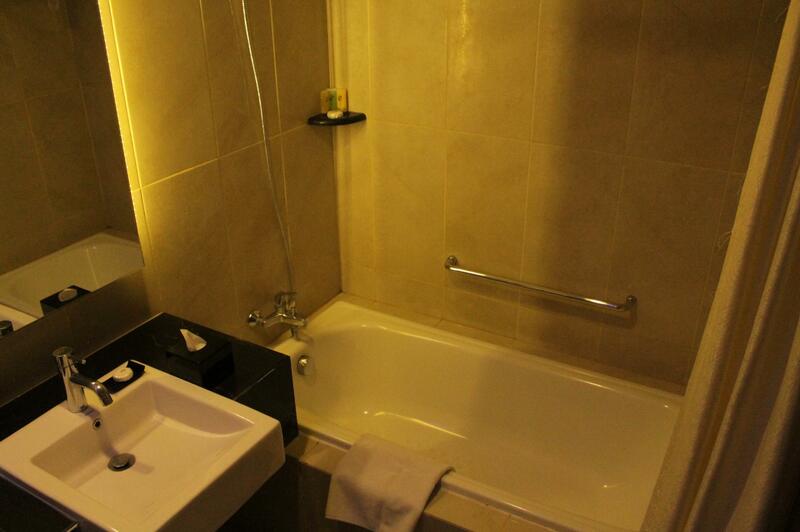 Should we be back in the Malang area again,we would definitely consider staying at the Swiss-Belinn again! This hotel is only 5 minutes walking distance to a shopping centre, Malang Town Square, where you can find various cuisines in the foodcourt. Check-in was good, the staff were friendly, but they initially gave me only 1 key card to the room which was quite inconvenience since I was staying with my family. But when I asked for a spare key, they happily complied. I was staying in the superior twin room, and it was a bit cramped for family with child. The hotel has a kiddy pool, so it's a good news for those travelling with kids. Breakfast was splendid. They offered traditional herbal drinks. I had an easy check-out and they let me have a late check-out until 1pm. The rooms were very small like those belong to budget hotels, yet pricey. Took long time to move from one floor to another as there were only 3 tiny elevators with low speed, which caused long queue of guests and staff at peak time. The gym only provided guests with 1 treadmill, which wasn't functioning well, 1 elliptical, few other equipments but no static bike. However, the staff are helpful and friendly, particularly to children. The hotel was clean, the breakfast buffet was adequate, the location is nearby a mall (easy access to food courts & theaters) and they provide free shuttle to the mall (Malang Town Square/MATOS), but the one thing that was most impressive to us was their competent & friendly staff. BRAVO ! Staff were courteous. Hotel was very clean. Breakfast spread has a good variety of local food which is good if you want to sample everything. Hotel is full of families so if you're a solo or business traveler you might be a bit uncomfortable. The location of the hotel is OK but not walking distance to anywhere so you would need your own transport. Hotel was located just beside several malls, so food and shopping was easy to get to. Rooms were clean and check-in/out was hassle-free. The hotel lobby entertainment (a singer with piano accompaniment) was superb! It was my second time stayed in this hotel. Clean and cozy hotel. In the one complex of a shopping mall. Internet was okay and also the breakfast. But aircon was not cold, and TV not clear. They said it was under maintenance. the rooms are clean and comfortable, the location adjacent to the mall, there is entertainment at hotel with good food and cheap, the price of the room service is also very affordable and tastes good, the breakfast menu is very diverse and complete for 3-star hotel, should be equal to 4 . the check in and check out were quick and the staff is also responsive and always ready to help. we are very happy to stay here, we will always come back here. the rooms are clean and comfortable, the location adjacent to the mall, there is entertainment at hotel with good food and cheap, the price of the room service is also very affordable and tastes good, the breakfast menu is very diverse and complete for 3-star hotel, should be equal to 4 . the check in and check out were quick and the staff is also responsive and always ready to help. we are very happy to stay here, we will always come back here. at an affordable price we got the facility 4, there is a spa, swimming pool, gym, shop for souvenirs (Apple Pie) typical Malang. 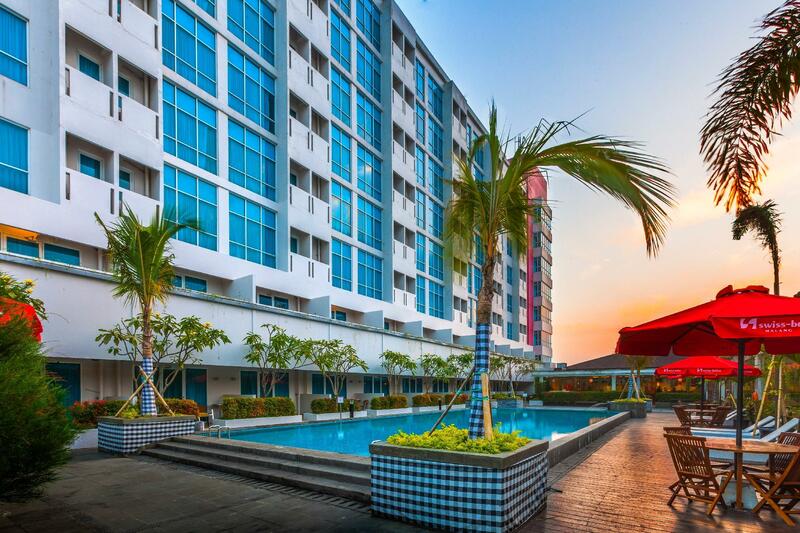 For travelers whose main intention is to go to Batu, location of this hotel is perfect. You can save 10-15 minutes travel time to Batu everyday. Food is good. We had dinner at hotel on our first night, surprisingly all food we ordered tasted good. Breakfast is okay. Food options include buffet, cereals, omelette bar, traditional food. The option are not many but the taste is good. Staffs are friendly, they like to ask where I'm going today and gave reference of places to go. For us, who spent most of the days outside and return to our rooms only at night, this hotel is more than enough.